The partnership of Samuel Paul (1912-2002) and Seymour Jarmul (1920-1994) dates to 1948 when Jarmul joined the firm as a job captain; he subsequently became junior partner in 1953 . Paul had been a sole practitioner since 1944, designing modest apartment houses, and before that working as a draftsman for a variety of firms, including Skidmore Owings & Merrill . A graduate of the Ecole des Beaux-Arts, Harvard’s Graduate School of Design, and Massachusetts Institute of Technology (MIT), Paul may have met or employed Jarmul due to the MIT connection, which Jarmul attended from 1945-47 . As a partnership the firm focused almost exclusively on one type of work, the mid-size residential apartment building. According to Jarmul’s daughter Ruth, Paul was the business partner, bringing in new commissions. 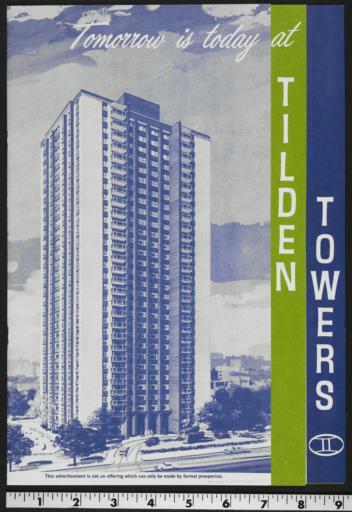 (4) Work steadily increased from the mid 1950s on and the firm designed more than 100 residential complexes in the 1950s and 60s, primarily in the five boroughs and Long Island. The projects tend to be efficient, stripped down designs primarily in brick with little detail to distinguish one from the next, but many featuring amenities to attract middle class tenants. 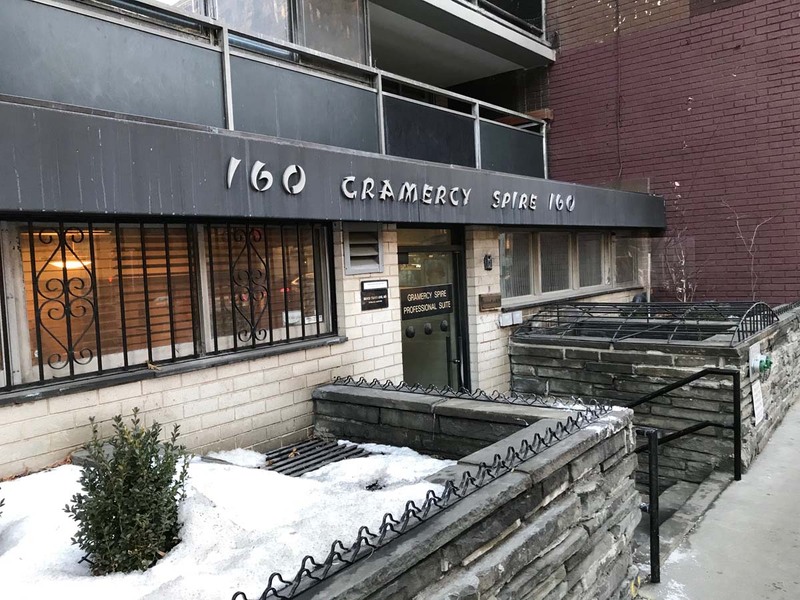 The brochure for one project in Elmhurst states “The charm of the suburbs–the conveniences of the city…this is Gramercy House.” (5) Extensive listing of amenities was key in drawing in new residents moving to the area. The firm’s design pinnacle was their partnership with the Birchwood Organization, for which they designed several major projects, Sheila Terrace in Elmhurst (1963), Gramercy Spire in Manhattan (1963), Birchwood Towers in Forest Hills (1964), and Birchwood Park at Water’s Edge in Bayside (1967). 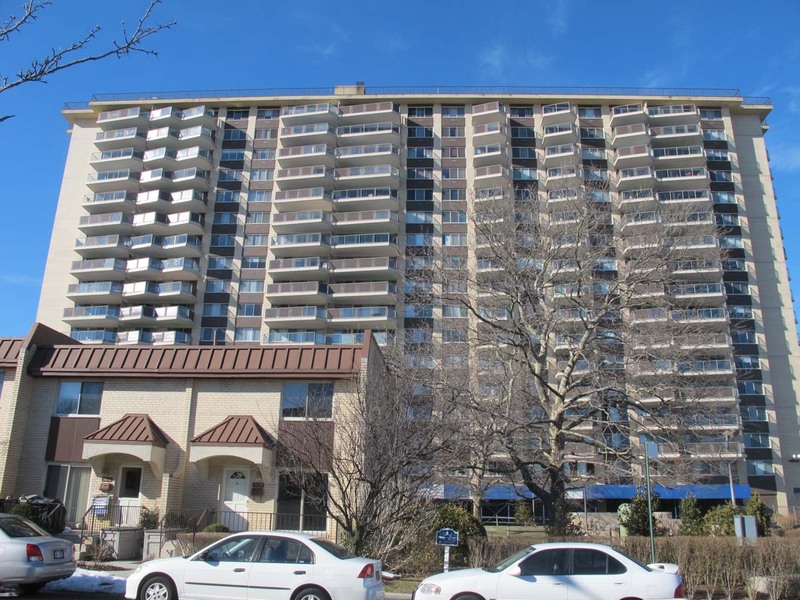 These complexes, with nearly 1,500 apartments combined, were aimed at a higher income tenant with luxury amenities such as swimming pools, ornamental fountains, floor to ceiling windows, private balconies, and in the case of Water’s Edge, a putting green on the property. Birchwood also offered a distinctly modern amenity–themed buildings and lobbies. Each of the Water’s Edge and Birchwood Towers buildings had a different placed-based name, such as the Toledo, the Versailles, and the Kyoto, and lobby decorated in that respective theme. Gramercy Spire, on the other hand, was completely Japanese inspired, with a covered oriental walkway, a Japanese garden, and a sunken conversation pit in the lobby with oriental flourishes. Both Birchwood Towers and Birchwood Park won Queens Chamber of Commerce Building Awards, as did Birchwood Park’s temporary sales office, a large peaked pavilion within a landscaped garden, long since demolished. The firm also received awards for two hotels, the Schine Inn in Forest Hills (1961) and the Riviera in Jamaica (1963), as well as Skyline Towers in Flushing (1966), another major apartment development. In addition to designing middle income housing, cooperative housing was also an important body of work for the firm. 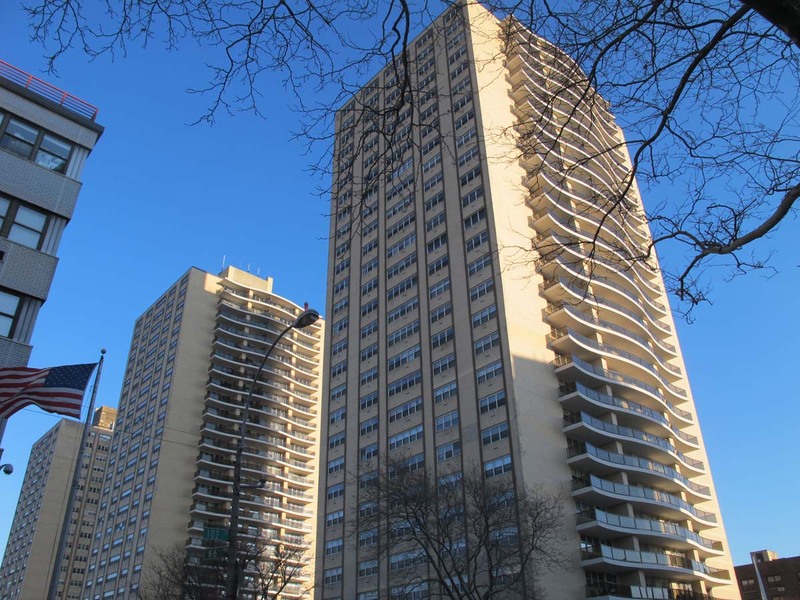 Together, the firm worked on major cooperative housing complexes such as the EW Jimerson Houses (Brooklyn, 1959), Grandview Towers (Queens, 1962), River Terrace Apartments (Manhattan, 1964), and Scott Tower (Bronx, 1966), as well as more than a dozen others. Jarmul’s daughter states that this focus on co-operative and other forms of government subsidized housing coincided with his interest in projects that helped the less privileged . Previously Jarmul had designed several additions (gymnasium, dormitory, and swimming pool facility) to the Bulova Company’s Woodside School, in which disabled individuals learned the watchmaking and repair trade . In 1969, the partnership dissolved with Jarmul teaming up with Bernard Brizee and Paul making his son a partner. Both firms continued into the 1970s, completing similar projects. Jarmul, Seymour. American Architects Directory, Third Edition. R.R. Bowker LLC. 1970. Web. Paul, Samuel. American Architects Directory, Third Edition. R.R. Bowker LLC. 1970. Web. Jarmul, Ruth. Phone interview 30, November, 17. Gramercy House brochure, No date. New York Real Estate Brochure Collection, Avery Architectural and Fine Arts Library, Columbia University. Web. Jarmul Brizee project list, date unknown. Collection of Nancy Collamer.